When I showed up in Val D’Isere I was happy to find that the course was pretty straight forward- nothing too risky or dangerous. Not that it was an easy course- far from it. The trails were pretty dry, and some of the steep downhills were dusty and loose, but overall it was a good course with plenty of hard climbing. The day before the race, on the last lap of my pre-ride, I crashed hard on one of the steep downhills and banged up my leg. It wasn’t a terrible crash- just a stupid one- and as my ankle started to swell and stiffen, I began to realize that the most important thing would be to get through the race safely. It was a little bit of a wake-up call: at this point a stupid crash could have pretty big consequences. The night before and the morning of the race it poured rain which definitely made me nervous. Not that I have a problem with racing in wet conditions- it’s just that as things get sloppier you make more mistakes, and when you make more mistakes you have more crashes and more smashing-your-legs-with-parts-of-your-bike. As I watched the U23 race a few hours before our start, it seemed like parts of the course were very slippery and other parts were almost dry. I didn’t know what the conditions would be like, so I had to make a last-minute tire decision. Even though it seemed to be drying out, the weather was so changeable I figured going with a mud tire would be a good move- having a little extra traction would come in handy. My leg felt ok pedaling, but it was still pretty swollen. I was hoping I wouldn’t have to get off and run anything, but because of the conditions I wasn’t holding my breath. I had a great start and was in the top-5 heading into the first climb. 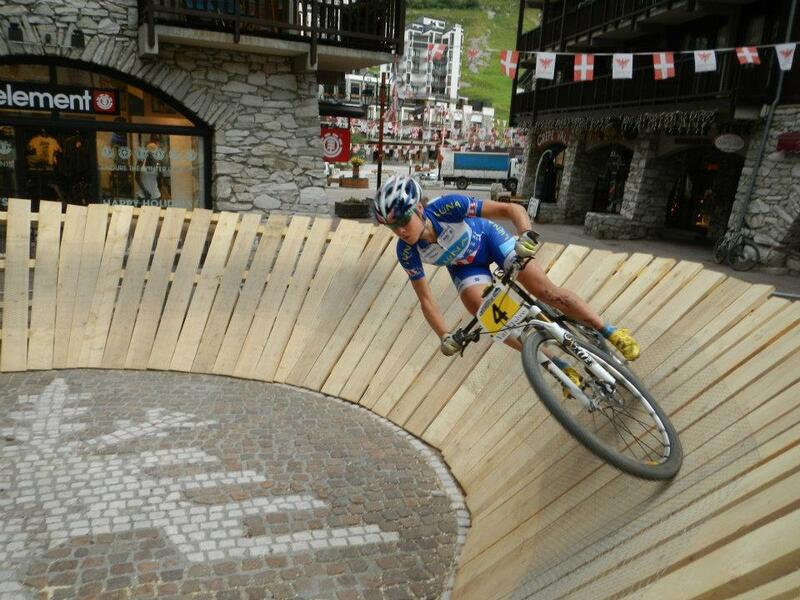 On the first downhill, Julie crashed in front of me, but I was able to avoid her. Gunn-Rita, Annie and Katerina were pulling away, but I knew I had to just ride my own race. I was definitely riding conservatively on the downhills- I didn’t want to crash on my leg again. 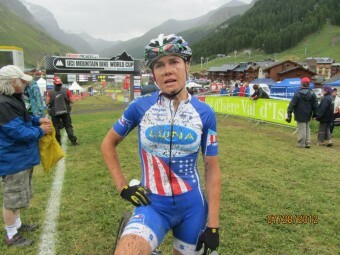 I began to pull the leaders back on the next climb, and when we came through the start-finish I was back on Gunn-Rita’s wheel. Julie was right there with us, and she attacked on the long climb. Gunn-Rita went with her, but I just kept it steady. I was losing a lot of time on the downhills, but I just couldn’t worry about it- it didn’t make any sense to ride outside of my comfort zone. Then, at the top of the most technical downhill (where I had crashed the day before), Julie crashed right in front of me and I had to make a choice: ride it and hope she gets out of my way, or just get off and run. I got off and ran gingerly down the rest of the descent. Katerina caught up to me, passed me AND put some time on me. 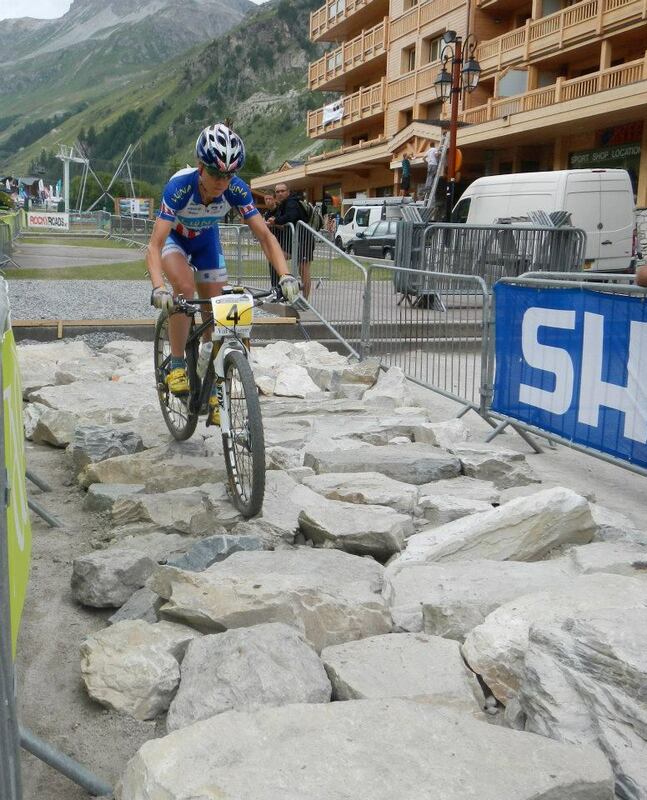 It was frustrating- everyone was putting lots of time into me on the downhills (even the short ones!) and it was too much for me to make up on the uphills. On the last few laps I started to feel a little smoother and faster on the downhills, but by that point I was riding pretty comfortably in 5th. So that’s where I ended up, 5th. I was satisfied- even though I was hoping to be able to win a world cup this year, I had to shift my priorities a bit and focus on a bigger goal. And that “bigger goal” is coming up fast! Yeah…that was a tough one.